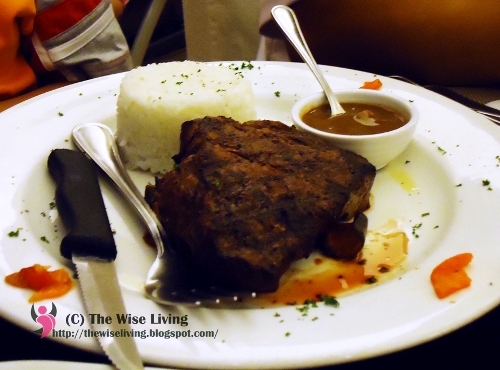 This steak is worth 10 working hours of my salary?! How often were you plagued with the urge to do impulse shopping? Or with the sudden call to order for impulse delivery? How about impulse flight-booking? Have you done this? Do you see what these signs have in common? They urge you to buy NOW. Pay TODAY. Pull out your hard-earned cash and give it to them WITHOUT THINKING. My friend, I understand your woe. I know how you feel! I’ve been a victim of these deceptive tactics before. But those days of playing victim are over. We can stop our impulse spending. We can tame the lion within. We can be the masters of our own souls. No, I’m not asking you to do the 30-day rule wherein you will list down the item you want to buy and then return to the mall after 30 days. I’ve already done that! It doesn’t really work for me! Instead, I’m asking you to think of price in terms of your salary per hour. What is your gross salary per month? Let’s say it’s P15,000/month? Too low? (Good for you!) Too high? (Hey, we’re still young!) It doesn’t matter – this is just hypothetical. Okay. You have a salary of P15,000/month and you only work from Mondays to Fridays. So your salary is for 22 days. P15,000/22 days means you earn P682/day, roughly. You work for 8 hours so it will be P682/8 hours. This means you earn P85/hour, on estimate. Think about this: you see a nice-to-have dress. It’s not really a need since you just bought one dress last week. But the tag says it’s ON SALE. Instead of paying P2500, the sale says it’s only P1500 right now. Think again. P1500 is 18 hours of your working hour! Would you sacrifice 18 working hours just to buy a pretty dress that you don’t really need? 18 hours of mind-numbing work with you slaving away on your desk and struggling to make ends meet. 18 hours of phone calls, meetings, duties, conferences and reports just for one dress? See? I didn’t think so. Compare prices to your actual working hours and you’ll be amazed to discover just how frugal you can really be. *Guest post from Lianne Martha Laroya of The Wise Living. I will definitely start doing this! Thanks for sharing! Nice article, Lianne! 🙂 I would surely have second thoughts to engage into impulse buying once I've realized its value to my hourly salary rate. I'm having one of my why-didn't-I-think-of-that-before moments. I'm a freelancer who gets paid per task, so this is very easy for me to compute. I'll make sure to do this moving forward for all purchases. Thanks for sharing, Jill and Lianne. This has become my way of curbing impulse purchases too. Thanks to Lianne, I now find myself less likely to indulge in mindless retail therapy. Thank you, Dea! I hope this can help you during your journey towards financial freedom. God bless! wow thanks for this post. i work as a consultant and i get paid by the hour. i always come in late, like an hour and a half, almost everyday! now i know how much moolah im losing. waaaah!